INT. : 3rd RMB Conference and 16th Docomomo Germany 2019 – 100 Years Bauhaus: Which interest do we take in Modern Movement today? 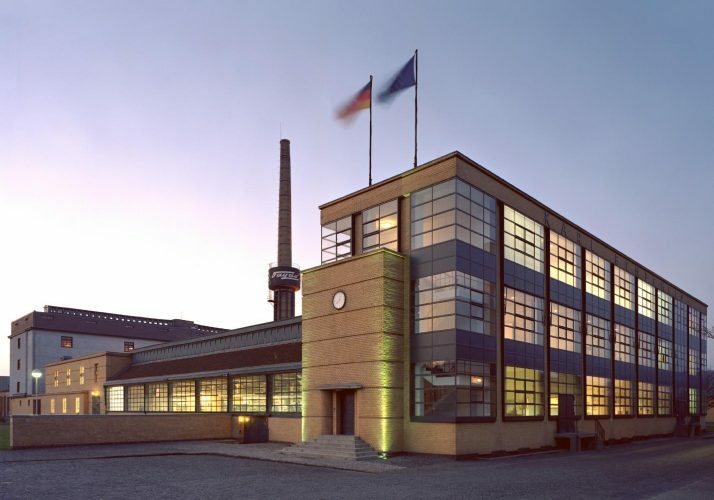 Docomomo International informs that the 16th Docomomo Germany Conference and the 3rd RMB Conference will be held in Berlin, Germany, in 2019, with the theme – 100 Years Bauhaus: Which interest do we take in Modern Movement today? Docomomo Deutschland, the Detmold School of Architecture and Interior Architecture and the EU project ´Reuse of Modernist Buildings (RMB)´ invite you to the 16th Docomomo Germany and 3rd RMB Conference. The international Conference in Berlin takes the 100th anniversary of the Bauhaus as an opportunity to discuss the significance of modernity in the 21st century. The focus should not be on the Bauhaus itself, but on the concepts, visions and impulses emanating from modern movement. They should be related to today’s social, economic, cultural and in particular creative issues. Are the social, spatial and constructional concepts formulated by modern movement and post-war modernism still sustainable today? What role do cultural and climatic conditions play in the preservation, renovation and transformation of spaces, buildings and modern movement sites? How can the basic ideas of classical modernism be continued 100 years later and thus contribute to solving current challenges? The invited keynote speakers will comment on these questions and in particular introduce the role of architecture as a planning and design discipline. David Chipperfield will report on the preservation and transformation of the listed National Gallery of Ludwig Mies van der Rohe in Berlin, which challenges the icons of modernity in conceptual and constructive terms. Fernando Romero is a Mexico city based Architect, recognized as one of the leading architects of his generation. He was named a Global Leader of Tomorrow at the World Economic Forum in 2002, one of the 50 Most Influential Designers by Fast Company in 2012 and became an Honorary Fellow of the American Institute of Architects (AIA) in 2013. His many accolades include the Bauhaus Award and the ‘Best of the Best’ Red Dot Award. Romero and his office fr·ee are involved in a wide range of educational and cultural activities. Regeneration, a project restoring selected pieces of modern Mexican architecture, preserves culture and creates awareness about the role of architecture and design in Mexico. Wiel Arets was dean at the Illinois Institute of Technology College of Architecture (IIT) for five years, succeeding Mies van der Rohe as an architecture teacher and working in a restored building designed by Mies van der Rohe in Chicago. He has a close connection to the legacy of the Bauhaus in the USA. In his speech, he will comment on the significance of the mod race today, among other things, based on his design for the Antwerp Tower. The event will be accompanied by various excursions to sites of modern movement and post-war modernism in Berlin. These take place on Saturday, 2nd of March 2019 before and after the conference: Hansaviertel, Neue Nationalgalerie, Akademie der Künste. Kunsthochschule (KH-Berlin), Bühringstraße 20, 13086 Berlin-Weißensee.We are looking forward to seeing you in the Berlin, Germany, between the 1st and 2nd of March 2019! The early fee deadline for attendees is 31st January 2019.